Using self-adhesive design, TinyJuice portable wireless charger effortlessly charges your smartphone while you answer call or enjoy your favorite multimedia content. Like the idea? Let’s have a look. The TinyJuice is an innovative and versatile Qi-enabled portable wireless charger that measures 2.5 x 3 x 0.4 inches and weighs only 105g. As we can see from the images, the portable charger shows off a minimal and low-profile box-shaped form factor along with three optional colors: black, white and red. Meanwhile, the compact and slim design allows you to easily take it with you anywhere you go. The portable wireless charger comes equipped with 3000mAh rechargeable battery. 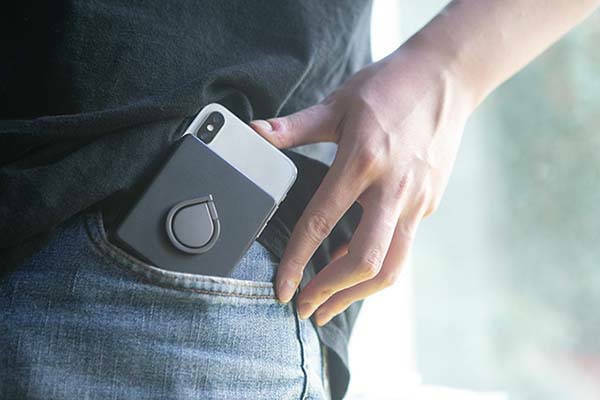 Using built-in wireless charging pad, the TinyJuice wirelessly charges your Qi-enabled smartphone. More importantly, its nano-suction technology ensures the wireless charger stays on the back of your phone during charging even when you hold the phone in your hand. Moreover, an extra USB port also allows it to charge other mobile devices via a USB cable. 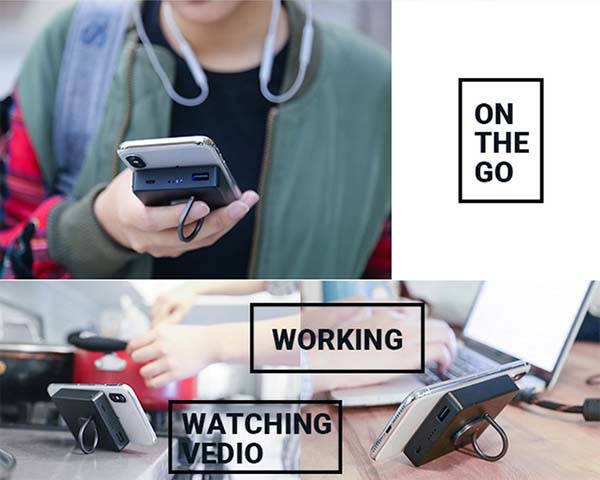 An integrated phone grip not only provides a secure and firm grip experience, but also serves as an phone stand that supports landscape viewing mode. The team behind TinyJuice is raising fund for the product on Kickstarter. We can pledge $19 to preorder the self-adhesive portable wireless charger. It will be shipped in January 2019.